Determine the strengths and weaknesses of your station. 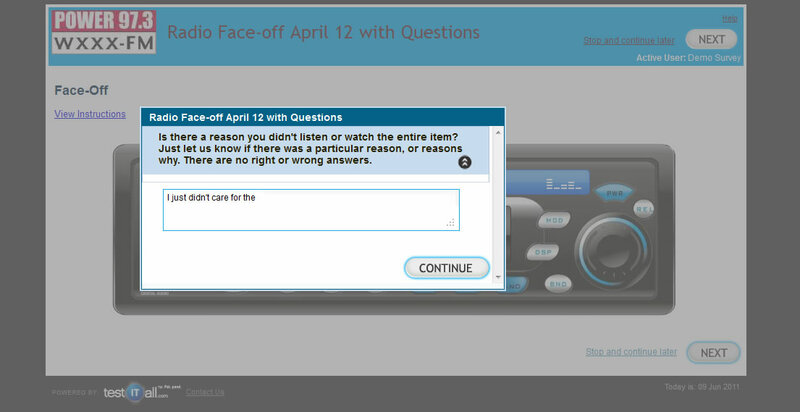 Test All Media can help you determine the strengths and weaknesses of your station. 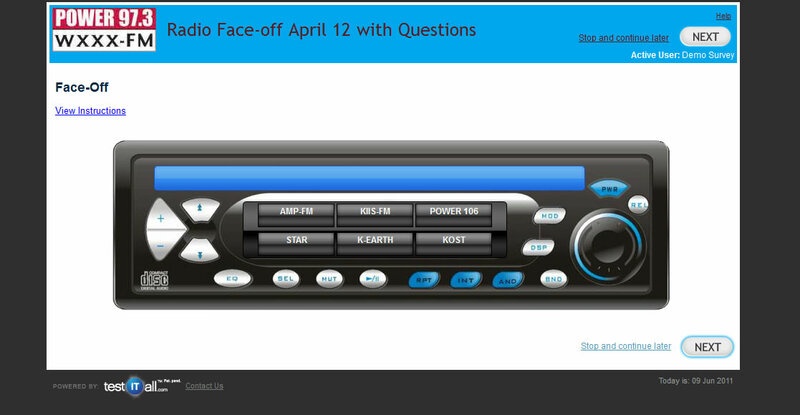 You can harness the power of our exclusive face-off module, we call Content Check, to test any type of audio. Using our patented technology, you can put a listener into a real-world listening environment where you can track how long they listen before they switch, when they switch, where they switch to, as well as asking, "Why they switched?" We track the tune-ins and tune-outs. 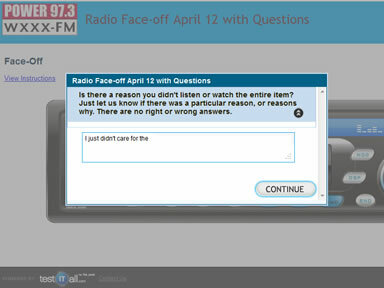 With Content Check you can put together a radio face-off between your station and other stations in your market or even test a new format. 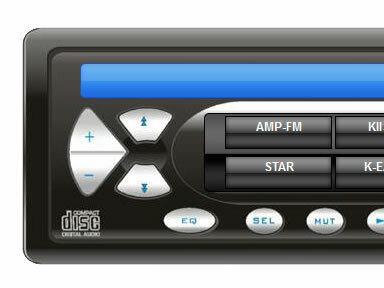 The virtual radio experiences show you what songs turned off your audience and made them switch to another station. Analyze the flow of your station with Test All Media's Content Check and get to know your audience better. 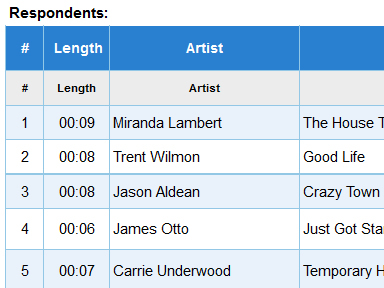 HitPredictor has shown incredible accuracy in determining the hit potential of new songs prior to airplay. Rate The Music, powered by Test All Media, helps radio stations get actionable information about the music tastes of their audiences.